The new Fluke 52 Series II contact thermometer offers fast response and laboratory accuracy (0.05% + 0.3°C) in a rugged, handheld test tool. Optional ToolPak accessory allows the thermometer to hang from any metal object (with the rare earth magnet) or secure around a pipe (with hook-and-loop straps) for hands-free operation. 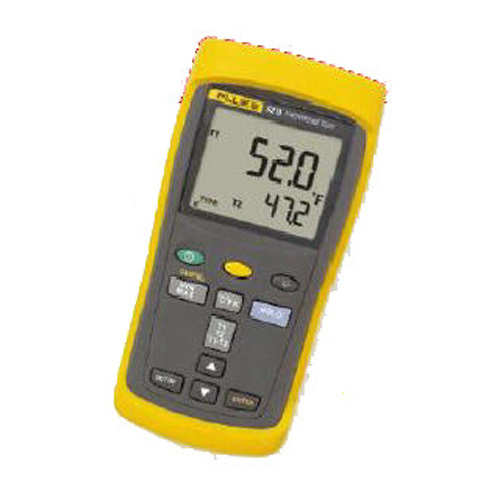 * Only the Fluke Models 53 II and 54 II thermometers are capable of measuring N, R, and S-type thermocouples.